Nokia’s Lumia range is showing signs of promise across Europe and the US, but it is often thought that the Finnish firm is losing out on emerging market customers to cheap Android smartphones. A new survey from Jana suggests that this may not be the case, and posits the Nokia brand as (still) aspirational to many. Jana, which covers mobile rewards, marketing and research, regularly runs surveys among 2,500 selected phone owners in emerging markets in Asia. While that’s not a wide survey base, the quality of Jana’s reports is much respected. 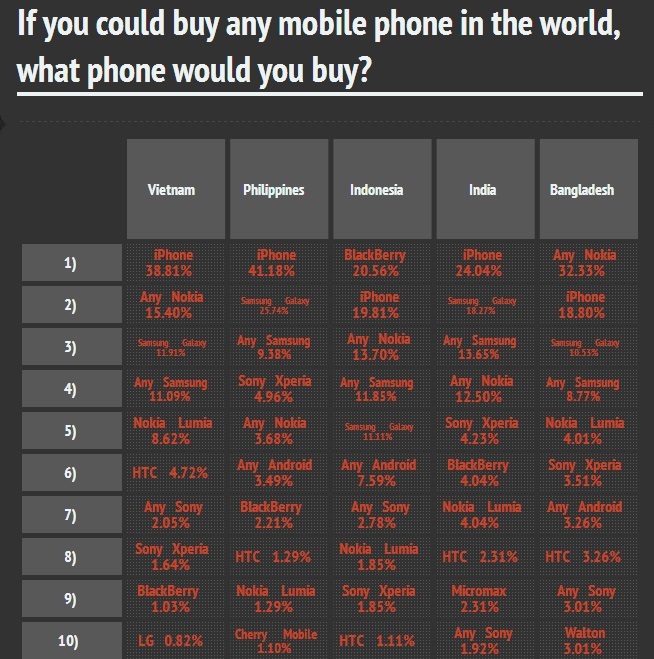 The latest survey — a look at smartphone preference and spending in Vietnam, the Philippines, Indonesia, India and Bangladesh — offers some promise for Nokia. While the iPhone is listed as the top device that respondents aspire to own in every country bar BlackBerry-mad Indonesia, Nokia’s enjoys decent positions in each market suggesting that its brand and devices have retained much popularity. ‘Any Nokia’ phone is ahead of ‘Any Samsung’ in Vietnam, Bangladesh (where it is top pick) and Indonesia and fractionally behind in India. Only in the Philippines does it trail its Korean rival, but there it is more desirable than ‘Any Android’ phone. Unfortunately, the data doesn’t tell us whether aspirations of owning a Nokia device have risen or fallen in recent times, which would provide more context. 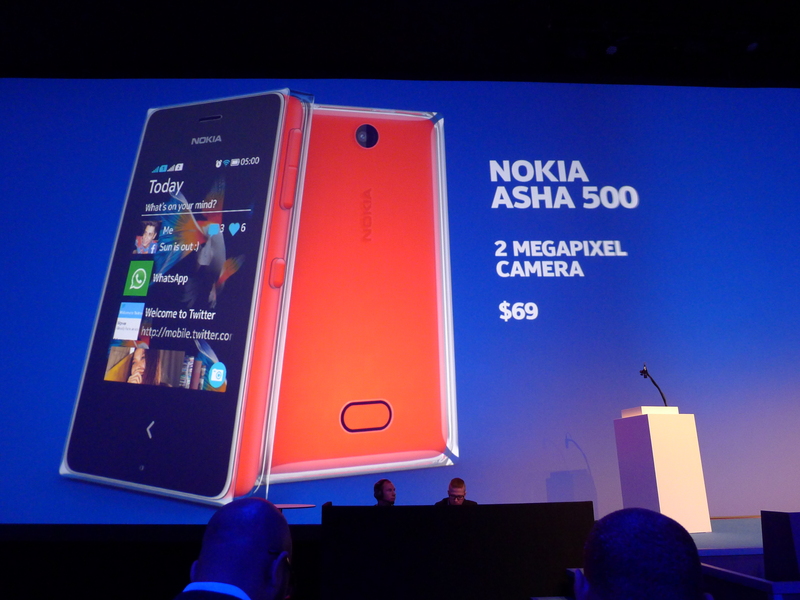 One thing that is noticeable is the lack of mention of Nokia’s Lumia brand. Could it be that emerging markets are simply unfamiliar with it? That seems most likely as the most popular devices are high-end, and that is unlikely to include the Asha — Nokia’s family of feature phone-smartphones designed for emerging markets. The challenge it to mix expectation with reality, and Nokia’s Asha series has kicked up a gear this year — with a real focus on emphasizing messaging app clients like WhatsApp, Line and other favorites like Facebook and Twitter.